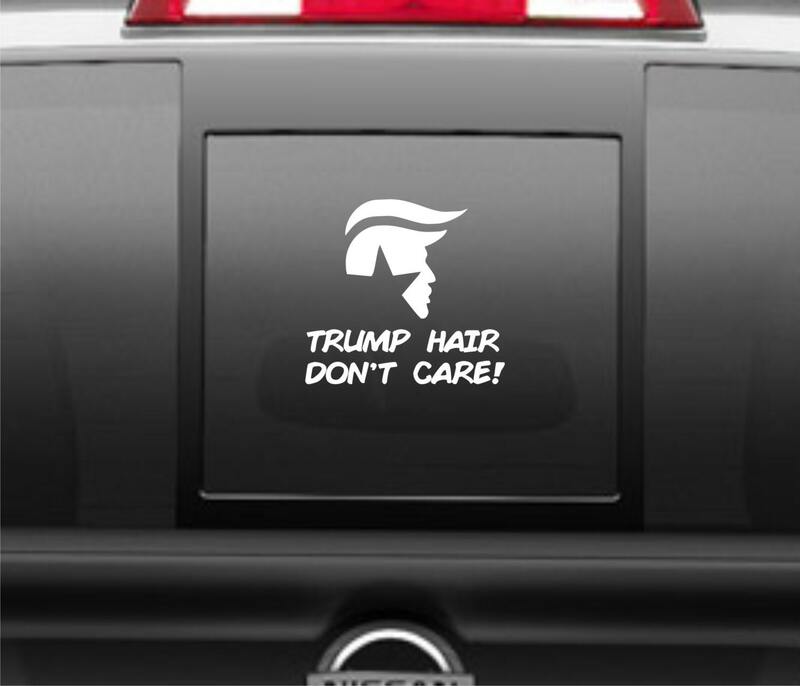 Funny vinyl decal- "Trump Hair Don't Care"- Tis the season, election season. I'ts getting exciting! You'll get plenty of looks and laughs with this one! 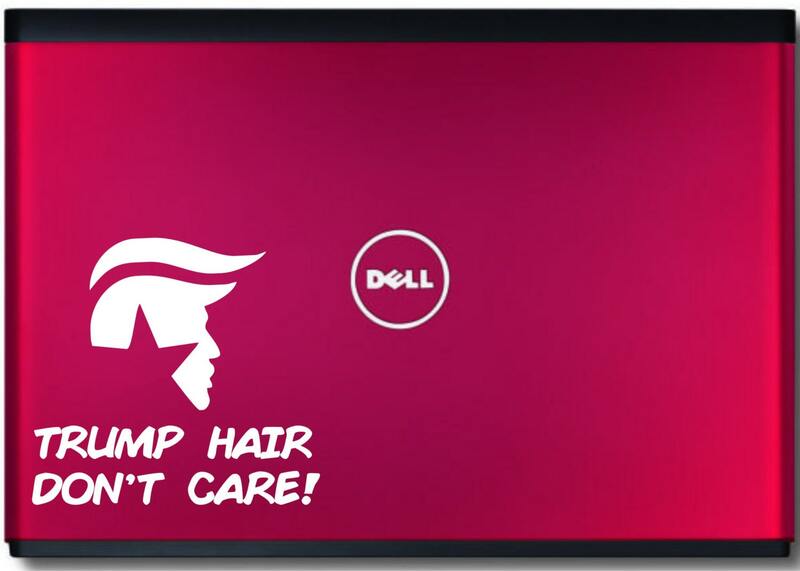 Love him or hate him, Trump is here to stay and the fireworks are about to fly. Good or bad, he says what's on his mind. 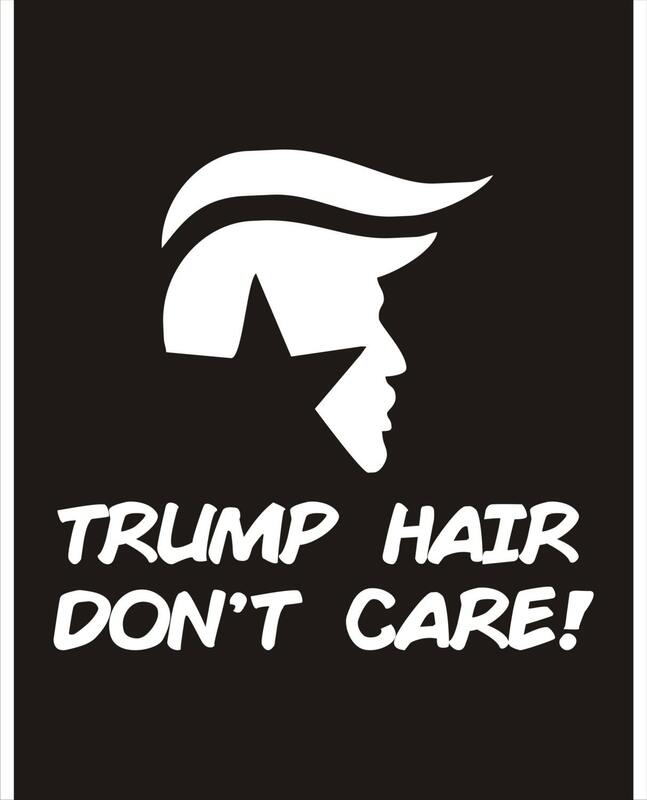 He don't care and neither does his hair! We use only high-quality outdoor vinyl. Long lasting, weather and water resistant. Easy to apply. These will stick to any clean, smooth surface; car, truck, boat, RV, refrigerator, Bernie supporter cars, Hillary supporter cars, etc. *All of our customers get a FREE surprise gift! The decals are the perfect size. Shipping was fast. Highly recommended, good quality decals and he will make sure you are satisfied with your purchase.